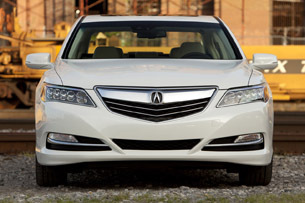 Autoblog rating for the Acura RLX is not available. Please check back later. Earlier in the year, I reviewed a powder-blue Volkswagen Beetle Convertible, and I witnessed a group of high-school-aged girls ogling the car as it sat in my driveway. In my head, I found it to be a funny-yet-fitting scene that I didn't think of again until a 2014 Acura RLX showed up in my driveway. This time around, an elderly neighborhood couple stopped to give the big Acura sedan a closer look. 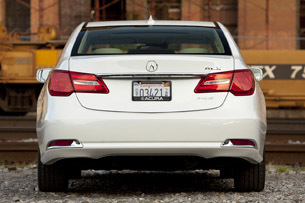 The RLX is trying to shed past stereotypes of its predecessor, the Acura RL, just like the Beetle. 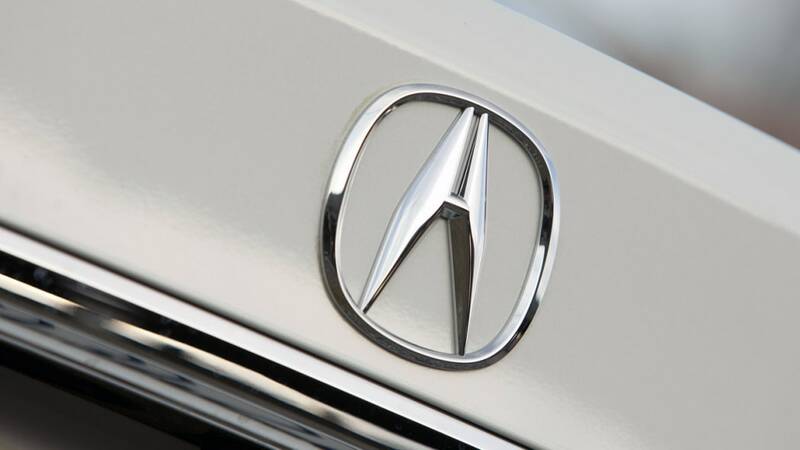 Hoping to avoid becoming the de facto "grandpa car," Acura has completely reworked – and renamed – its flagship sedan. 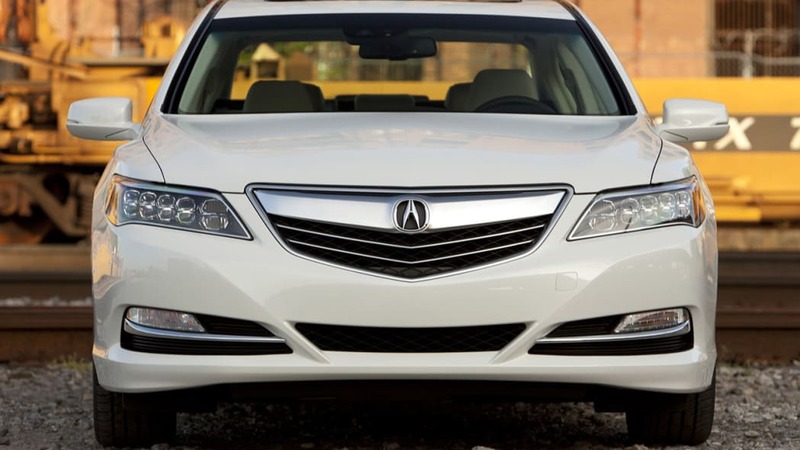 Compared to the ultra-anonymous RL, the 2014 RLX is a sharp car, but line it up against other luxury sedans and it's clear that Acura has played it very safe with this sedan's design. 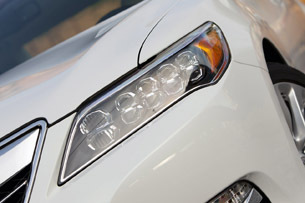 The RLX does have an assertive face with a toned-down version of Acura's signature shield grille and those attention-grabbing LED headlights. 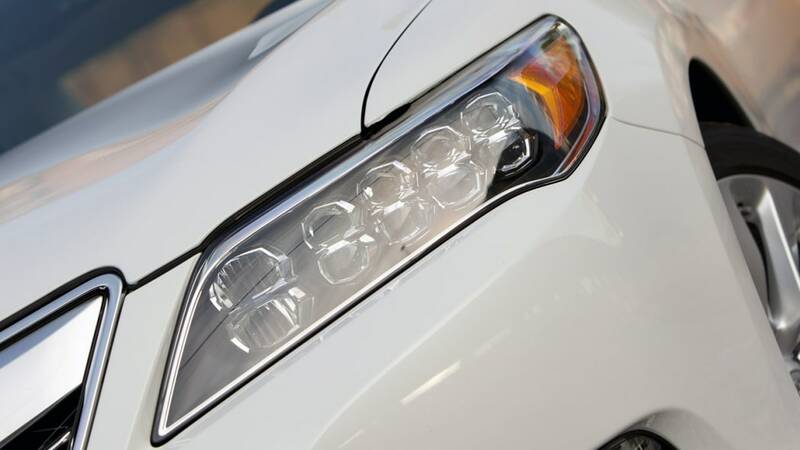 These "jewel eyes" might add a little too much busyness to the RLX's face, but they definitely help the car stand out in a crowd, while the sculpted front fenders add some athleticism to the design. Acura really missed an opportunity to get daring. Unfortunately, as your eyes move down the rest of the car, there's very little to get excited about. 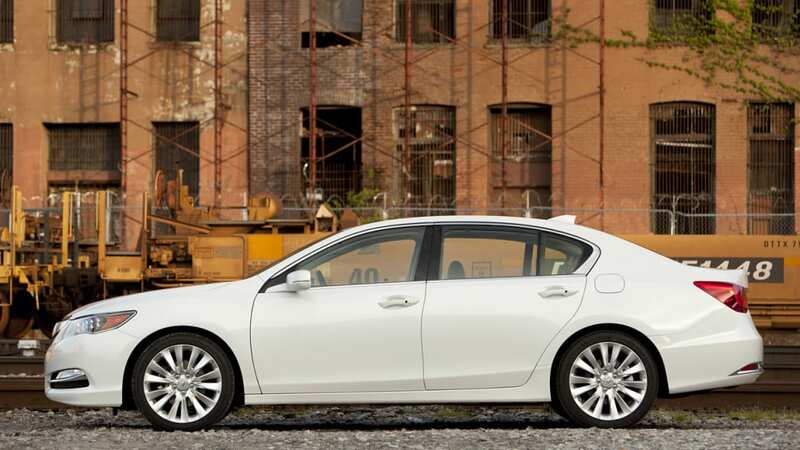 The doors have a similar slab-sided styling to the RL, and the rear view is a major letdown for us, with those chrome-wrapped reflectors that attempt to mimic exhaust outlets, an uninspired decklid and taillights that look like something that found on a Chevy Malibu or Subaru Impreza. We more easily understand when volume cars like the Honda Civic receive timid redesigns so as not to alienate their hundreds of thousands of repeat customers, but we think Acura really missed the opportunity to get daring (maybe not ZDX daring) to attract more style-driven luxury buyers. It has, in effect, carefully updated the look of the outgoing RL, whose only inherent wildness amounts to its "wildly unsuccessful" sales run. 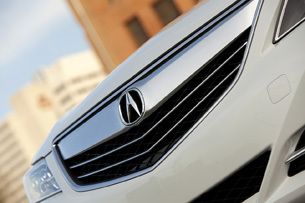 As is the case with most current Acura products, the lineage to the Honda brand is easily recognizable inside the RLX. 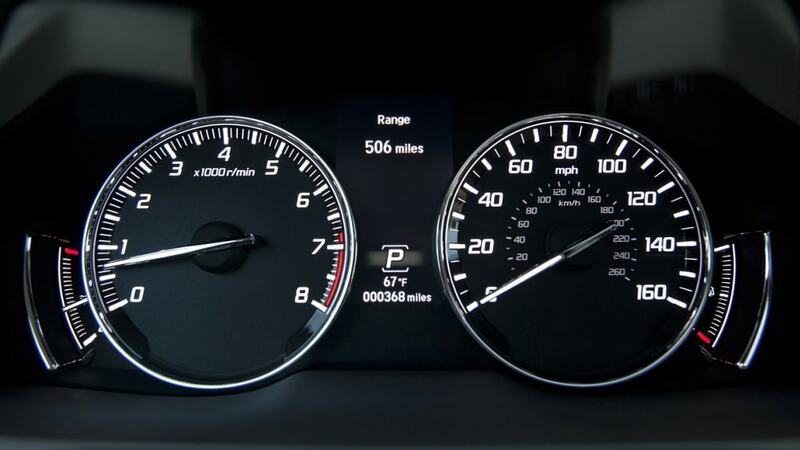 This starts right at the dual-hooded instrument panel, which closely resembles what you will find inside a Honda Accord. That's not to say that this car feels anything like the plebian Honda, but there's just not enough 'wow factor' inside the RLX to separate them completely in the minds of buyers. Compounding this issue is the fact that the RLX fails to offer a panoramic roof. In a similar baffling move that left the option of a navigation system out of the sportier ILX 2.4, we have to wonder how Acura could have left out the option of a big glass roof on its begging-to-be-loved flagship. For a car wanting to play with the big boys in its class, this omission for an all-new model is a head-scratcher. 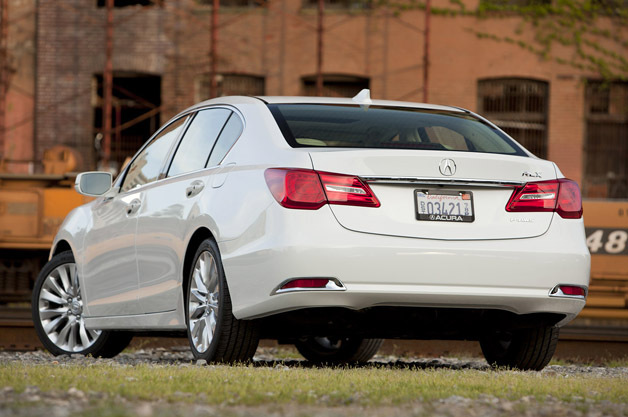 Compared to the RL, the wheelbase of the RLX has been stretched by two inches and the car is almost that much wider. 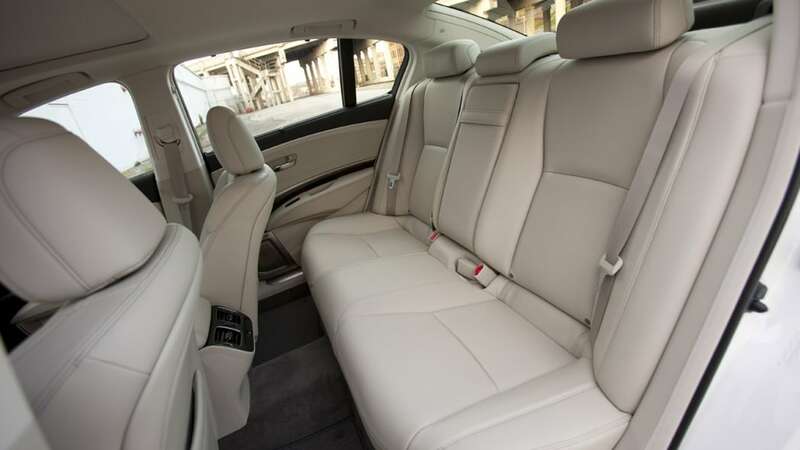 What the RLX's cabin lacks in visual pizzazz, it makes up for with roominess and refinement that truly defines this car as a luxury sedan with excellent infotainment technology to boot. On the technology front, the dual screens are a helpful tool to see and control vehicle information. 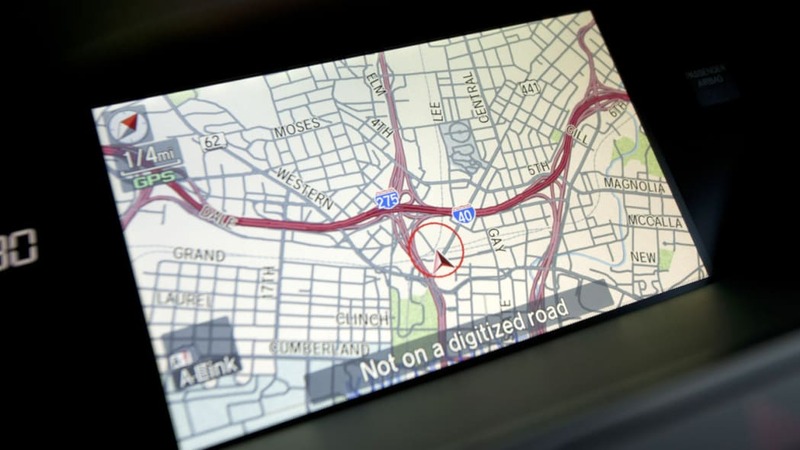 The top screen displays navigation info, which can be controlled using the lower touchscreen, with the latter also controlling the audio, phone and other functions. 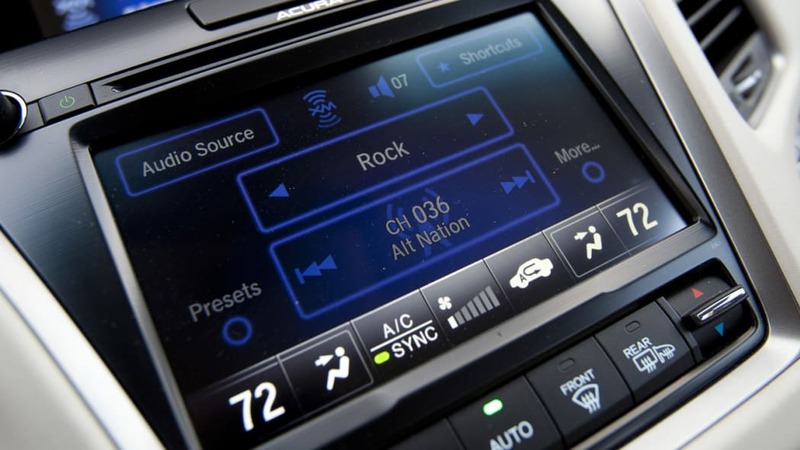 Despite the screens offering haptic feedback, Acura still leaves plenty of hard buttons – something plaguing other trick infotainment systems (especially from Cadillac and Ford) – and the only primary function to annoyingly go without a hard button is the climate system's fan speed control. 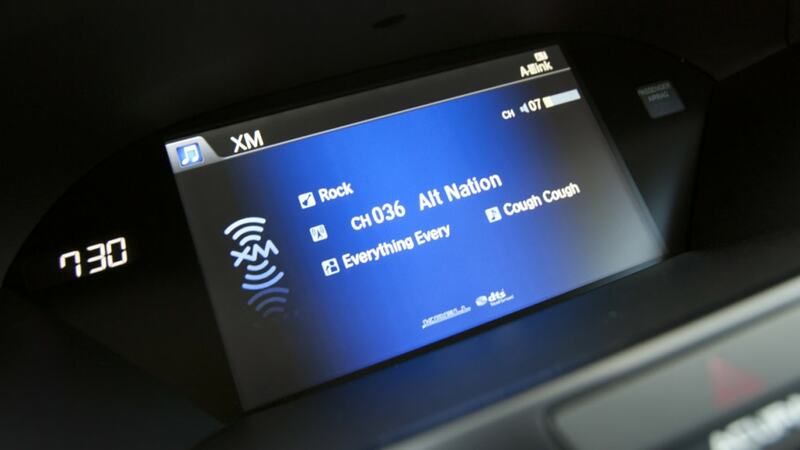 Acura's high-tech cabin is still very user friendly by offering numerous levels of redundancy for the driver, as systems like the navigation and audio can be operated using the touchscreen display, the large center knob or through voice commands. 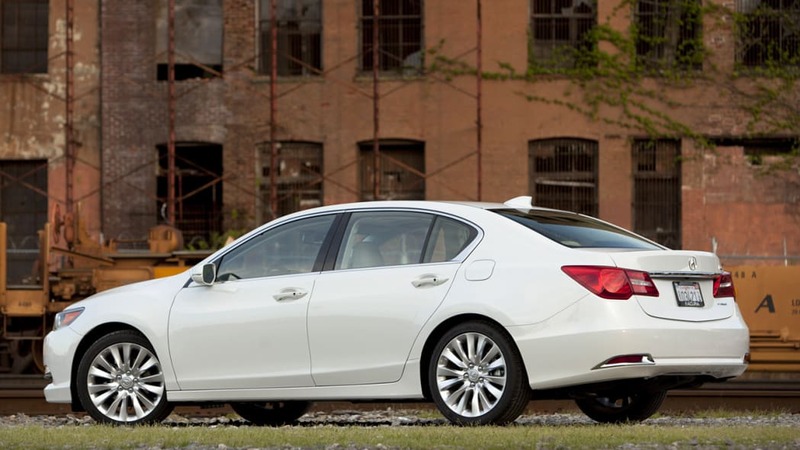 Compared to the RL, the wheelbase of the RLX has been stretched by two inches and the car is almost that much wider, equating to a substantially roomier cabin for all occupants. 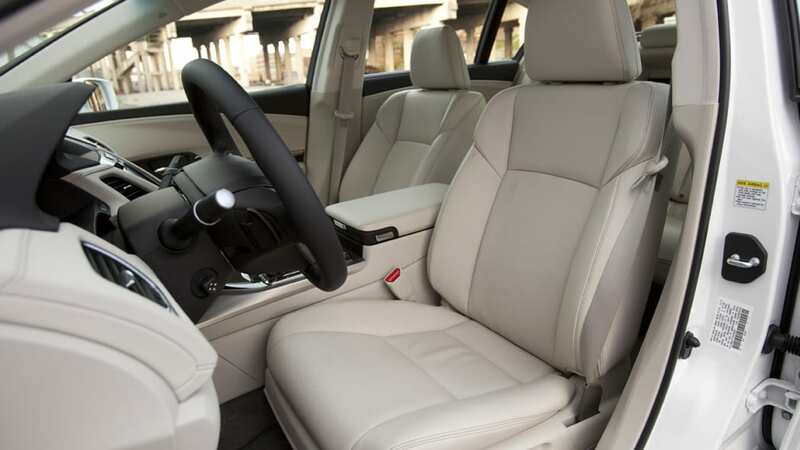 Up front, the seats are wide but supportive, but it's the rear seating that might be the best place to sit, with ample room to stretch out on long trips and rear and side sunshades on higher level trim lines. Adding to the comfort, all but the base model get nice perforated leather and the upper trim levels receive acoustic glass. 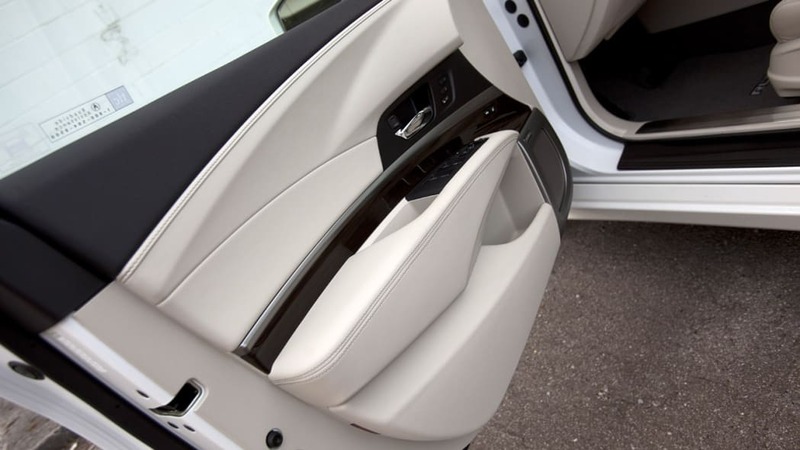 Added to all of the other sound-deadening measures, the RLX is left with a whisper-quiet cabin. 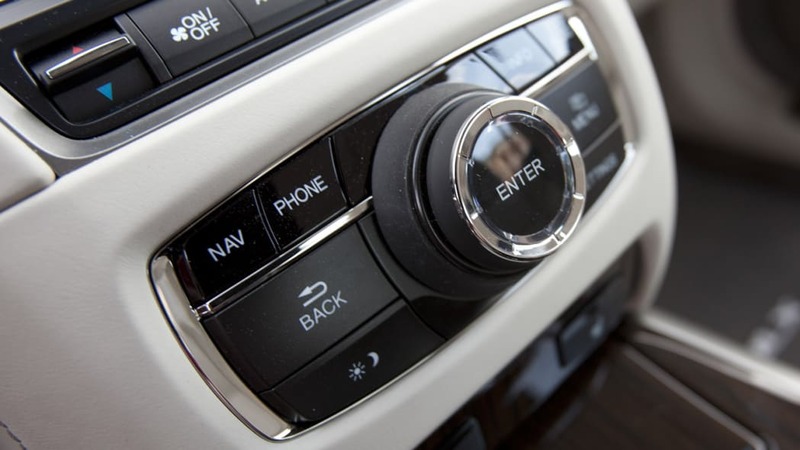 That is, until you turn the volume knob up on the optional 450-watt, 14-speaker Krell Audio system. 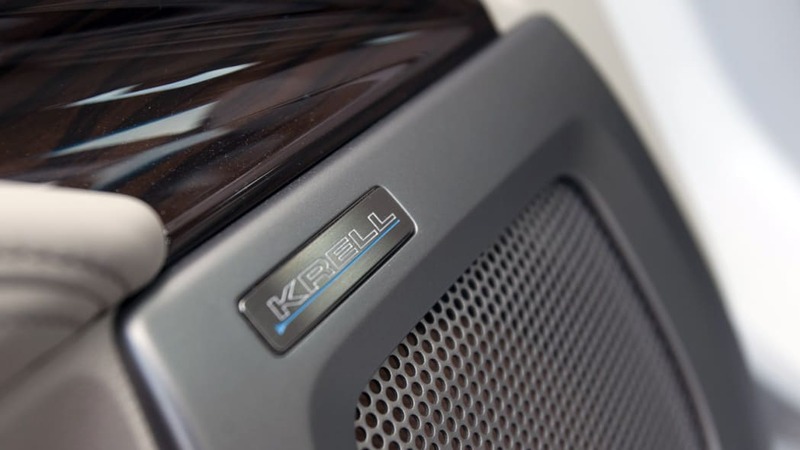 The highlight of this package is the upgraded 'ultra-premium' sound system that one-ups Acura's top-notch ELS audio system with the higher-quality Krell speakers and amps. The system delivers a crisp, clear sound that is probably better than most living room setups. But you're going to pay for it. At $48,450 (in base form and not including the $895 destination charge), the RLX is a great car, but the as-tested price of our Krell-equipped RLX rang in at $57,845. That's not an easy pill to swallow even in this segment, and this wasn't even the highest-priced model. 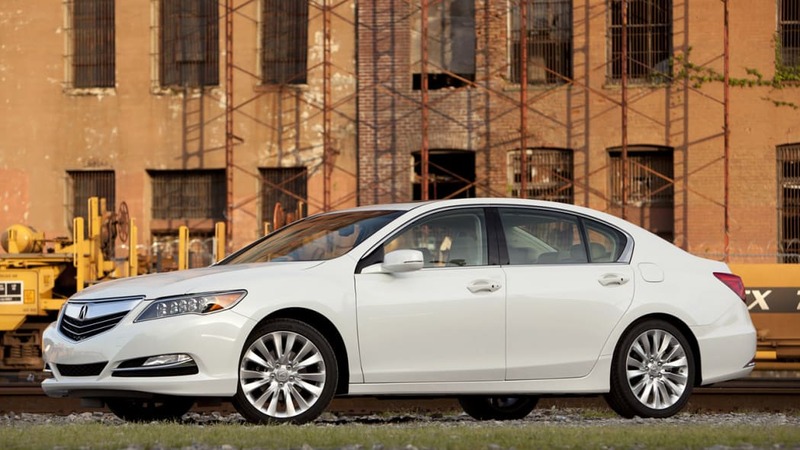 Go full boat, and you're looking at the RLX with Advanced Package and a price tag north of $60,000. There are a plethora of luxury sedans to cross-shop when you start playing the "What can I buy for $60,000?" game. As much as Acura would like to think the RLX will compete against rear-wheel-drive German sport sedans, this new four-door compares better to the aforementioned Lexus GS, Cadillac XTS and maybe even the Audi A6. The problem, of course, is that except for the rear-drive GS, all of the other cars listed here offer an all-wheel-drive system. 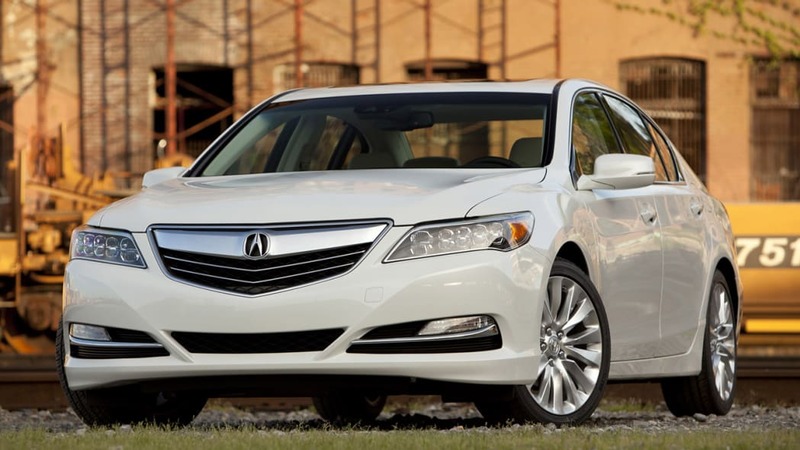 For now, the RLX is only offered in a front-wheel-drive configuration. 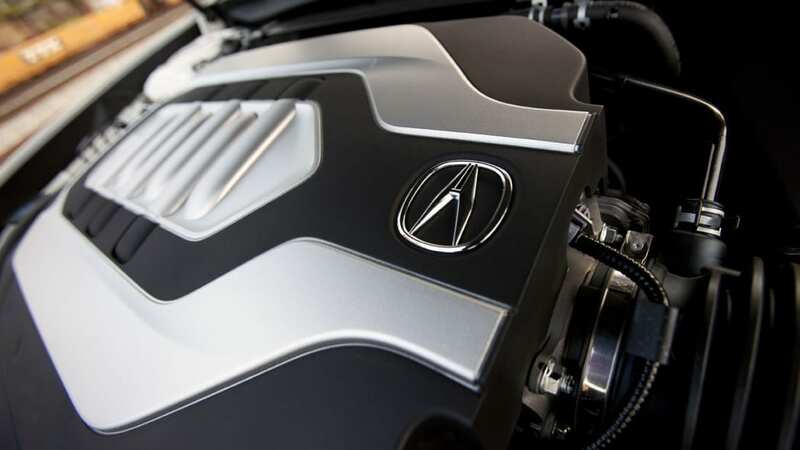 Acura's Super Handling All-Wheel Drive (SH-AWD) system may have been one of the only reasons to justify the purchase of an RL – it was standard equipment on that car – but, for now, the RLX is only offered in a front-wheel-drive configuration. Sending power to the front wheels is a 3.5-liter V6, which, while smaller than the RL's engine, is more powerful and more efficient. 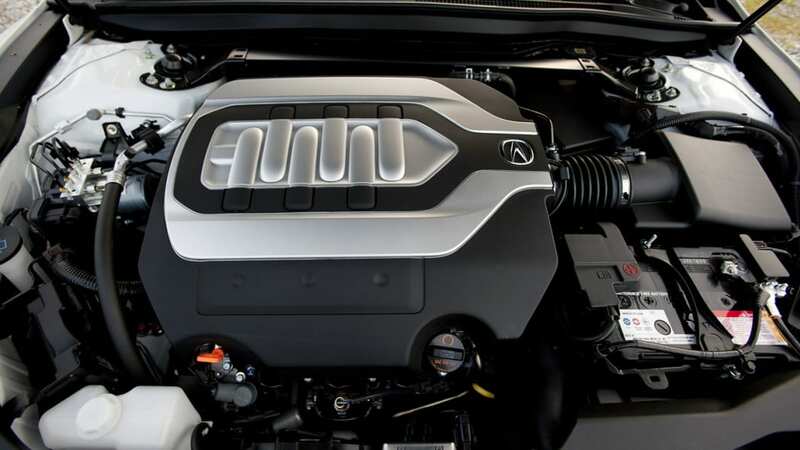 The first Acura to utilize direct injection and cylinder deactivation, the RLX puts out 310 horsepower and 272 pound-feet of torque – not much of an increase in power over the RL's 300 hp and 271 lb-ft, but big gains in fuel economy partially make up for it. Official EPA fuel economy estimates for the RLX stand at 20 miles per gallon in the city and 31 mpg highway, compared to 17 mpg city and 24 mpg highway for the 2012 RL, but there's no doubt this could have been even better had Acura ditched this six-speed automatic transmission for a more advanced transmission, like the seven- or eight-speed gearboxes that are now commonplace among luxury automobiles. 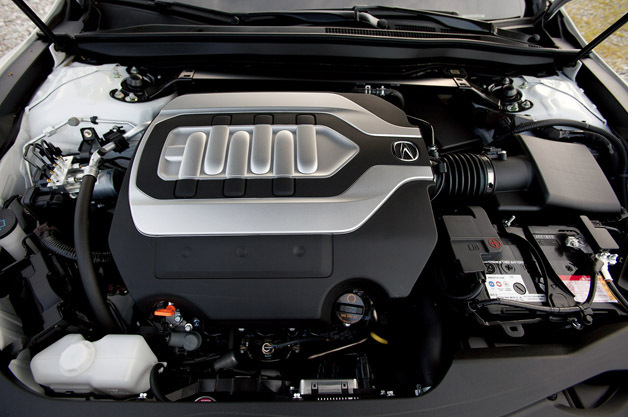 Many of these added-speed transmissions are tuned for squeezing every last mpg from the car, but the RLX's six-speed automatic still exhibited a tried-and-true feel with every up and downshift being exactly where they should – neither too soft nor too harsh. Down the road, the RLX Sport Hybrid, making its official debut at the LA Auto Show this week, will bring with it the all-wheel-drive system and seven-speed dual-clutch transmission that this car needs to be competitive. In the meantime, however, Acura buyers wanting a big sedan are stuck with this front-wheel-drive model. 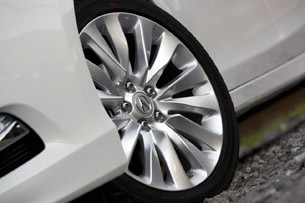 One redeeming factor that has Acura built into the RLX is the new Precision All-Wheel Steer (P-AWS) system. 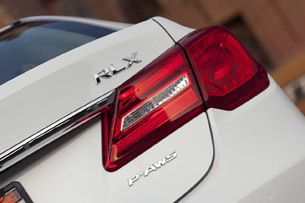 An acronym that might be better suited for a Jaguar, this system helps the RLX feel less like the front-driver it is by adding some steering assistance to the rear wheels. 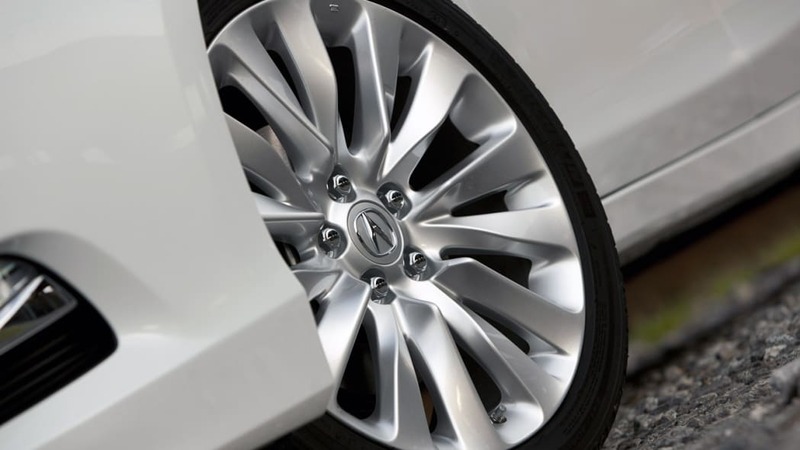 The rear wheels are able to steer with or against the front wheels depending on vehicle speed, which helps make the RLX easier to maneuver in low speeds and a little more nimble in corners. Taking things a bit further, the rear wheels are also able to angle inward (toe-in) during hard braking to bring the RLX to a stop more quickly. We suspect that last feature isn't particularly good for tire wear, but if you're getting that much use out of it, you're probably putting some good wear on the tires anyway. The suspension setup errs on the side of comfort over handling. The RLX still feels like a front-wheel-drive sedan with a hint of torque steer on hard takeoffs, and if you can get past this FWD curse, it's a decent car to drive. Delivering a smooth and quiet ride that's expected from such a luxury sedan, the suspension setup errs on the side of comfort over handling, but it does so without ever feeling too cushy or disconnected from the road. As we noted during our First Drive back in February, the RLX provides some level of fun on twisty roads, but is much more in its element while driving through the city or on long road trips. That being said, the direct-injected V6 has great power and offers acceleration at just about all engine speeds, whether taking off from a dead stop or passing a car on the highway. 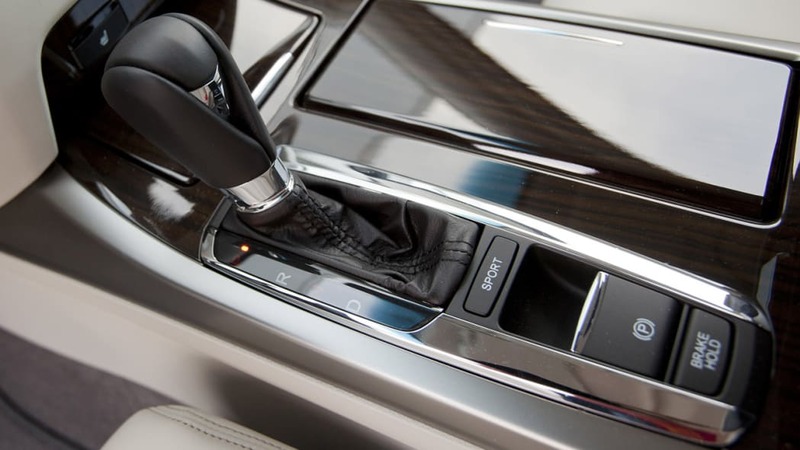 If you want a little more, just knock the shifter over into Sport mode for more aggressive transmission shift points as well as quicker throttle and steering response. 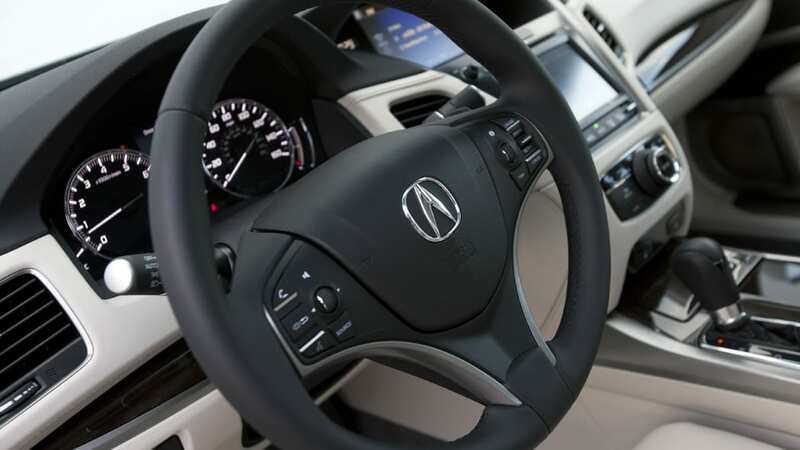 The RLX feels much smaller than it actually is thanks to its light-yet-responsive electric power steering that delivers amazingly tight steering maneuvers. 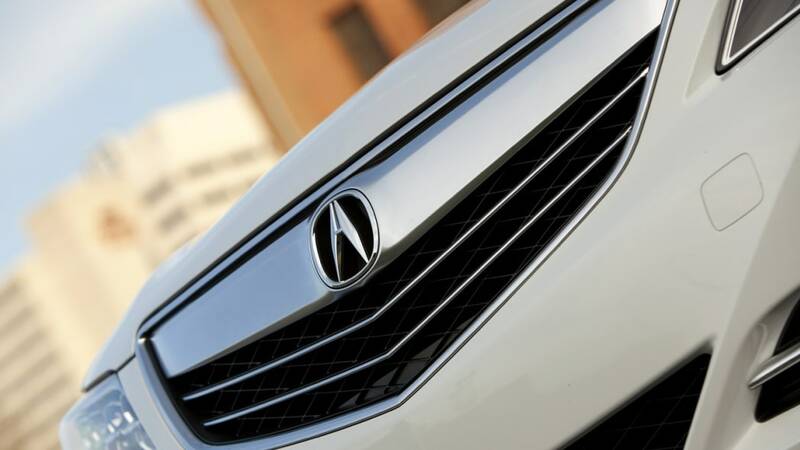 Top that all off with a solid brake system that lets the 4,000-pound sedan perform impressively quick stops, and Acura has a well-balanced luxury sedan on its hand with plenty of comfort and just a dash of fun. 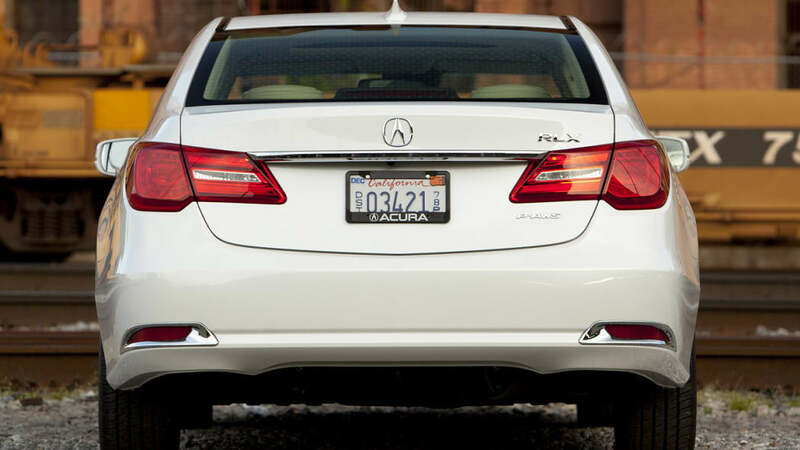 With blinders on, the RLX is a big step forward for Acura. 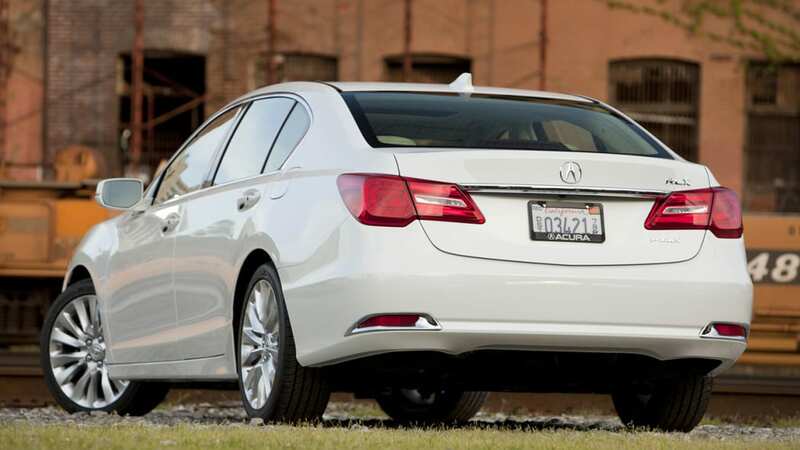 With blinders on, the RLX is a big step forward for Acura, but looking at the fullsize luxury sedan segment as a whole, its shortcomings make any improvements over the RL seem less remarkable compared to its rivals. This is, after all, a segment filled with established German sedans and a growing number of high-quality offerings from Asia and the US. While the RLX didn't blow our minds, it has managed to put up stronger numbers with buyers in its short time on the market, at least compared to the old RL. 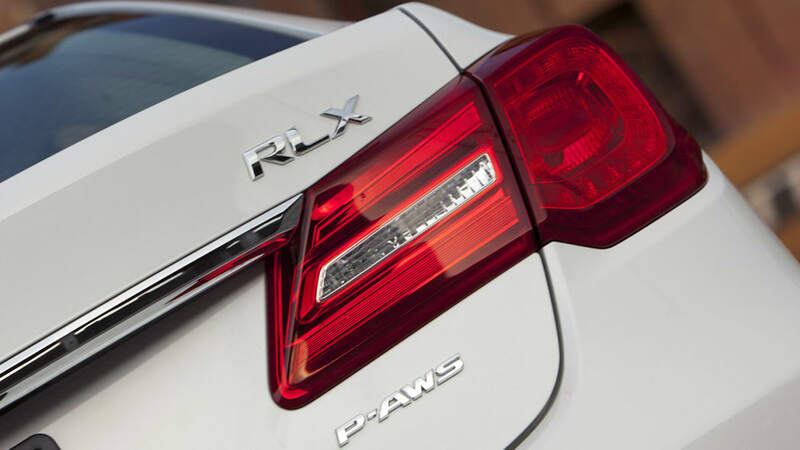 In just its first three months on the market (through June), the RLX had already sold more units (1,564) than the RL sold in all of 2011 and 2012 combined (1,475). That minor achievement notwithstanding, the RLX has only sold 3,780 units through October, which still puts it at the bottom of the Acura heap – excluding the discontinued ZDX. It's yet to be seen how the car will resonate with the newer and younger buyers that Acura so badly needs, although based on what I saw in my driveway, it's still your grandfather's Acura. But maybe I shouldn't judge a book by its cover... at least when it comes to my neighbors. I've since spotted that same elderly couple checking out a Subaru WRX STI parked in my driveway. So there's that.